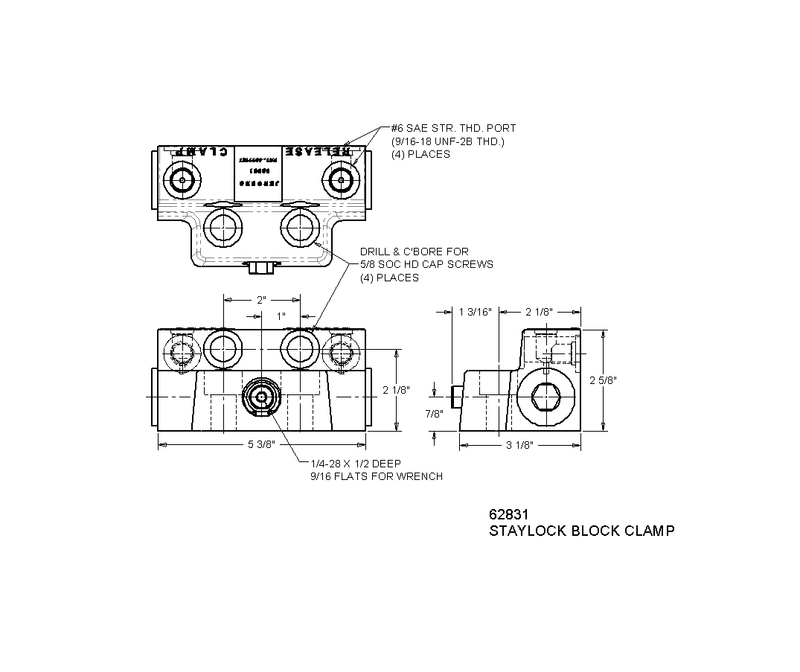 Jergens StayLock Block Clamps are multi-purpose utility clamps designed for many versatile applications. 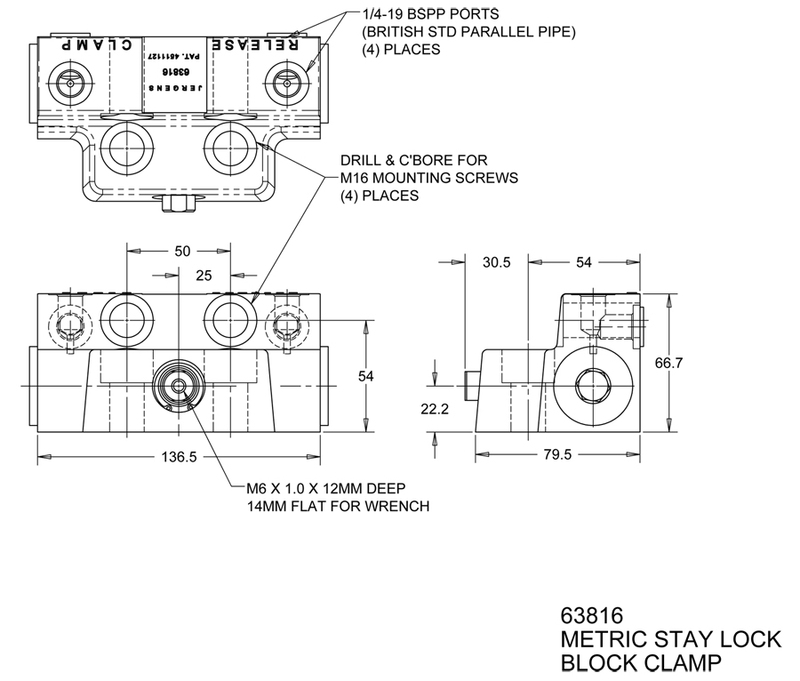 Block Clamps may be mounted for either vertical or horizontal clamping. They may be used with strap clamps or similar workholding devices for maximum adaptability (see illustration below). The Block Clamp plunger has a 1/4 - 28 thread on the I.D. for use with various contact points.